Samsung has announced a new range of accessories for its latest Android tablets, the Samsung Galaxy Tab S, which comes in two display sizes, one with a 10.5 inch display, the other with an 8.4 inch display. 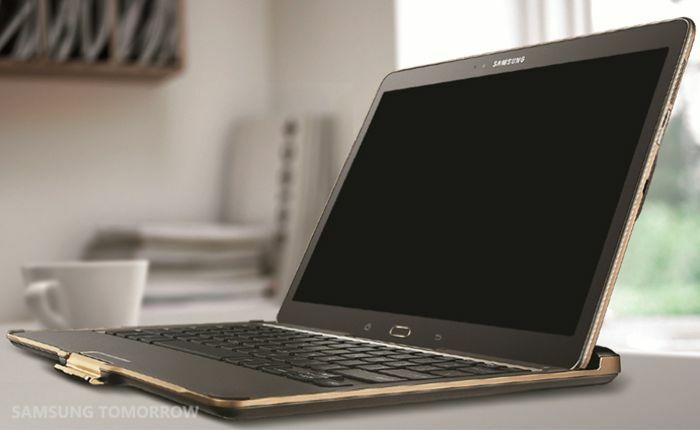 The range of accessories for the Galaxy Tab S includes a new Galaxy Tab S Book Cover, a Galaxy Tab S Simple Cover, a Samsung Bluetooth Keyboard and some Samsung Level Series headphones. Samsung Electronics announced a new line up of accessories for the newly announced Galaxy Tab S. Each accessory was designed to complement the sleek, modern aesthetic of the tablet and was developed to maximize its extraordinary viewing experience and productivity. Each of the new accessories take advantage of the Galaxy Tab S features, extending the tablet’s capabilities and enhancing various tasks so that consumers can enjoy all the advantages of the Galaxy Tab S to the fullest extent. 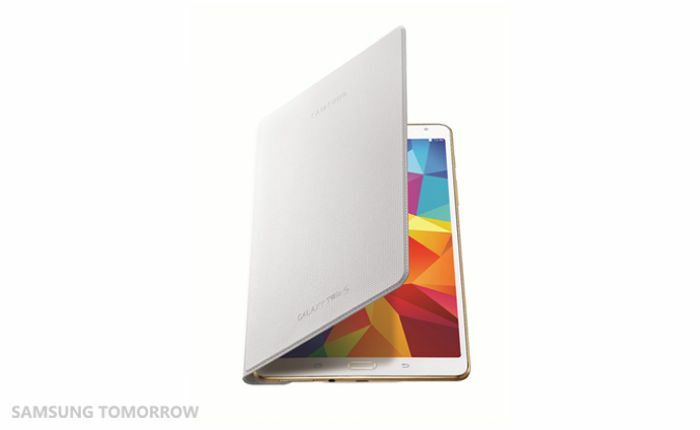 Galaxy Tab S owners will have a choice of several elegantly designed covers. The Book Cover accessory configures to three different display angles to provide the most comfortable position to watch videos, read or type. For users looking for the same protective structure of the Book Cover but with a slimmer design, Samsung offers the Simple Cover for perfect fitting, lightweight protection. You can find out full details about this new range of accessories for the Samsung Galaxy Tab S tablet over at Samsung at the link below. As will the new Galaxy Tab S tablets, Samsung has yet to announce any pricing on this new accessory range, as soon as we get some more information, we will let you guys know.